Preheat the oven to 200ºC (180ºC for fan assisted ovens), gas mark 6. 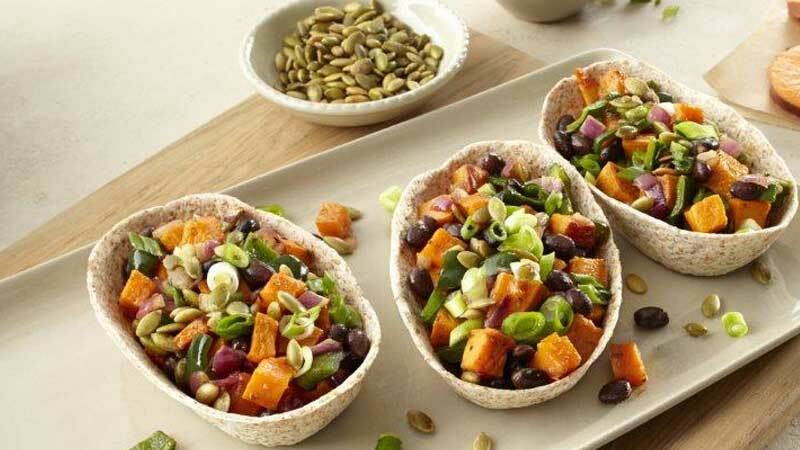 Spread the sweet potatoes on a large rimmed baking sheet. Drizzle over 1 tablespoon of the oil and season with half the salt and pepper. Toss to coat. Roast for 35-40 minutes until tender and lightly browned. Mix together the lime juice and honey in a small bowl. Heat the rest of the oil in a large non-stick frying pan over a medium heat. Add the pradon peppers and onion and cook for 3 minutes. Stir in the oregano, chipotle powder and remaining salt and pepper and cook for a further 2-4 minutes, stirring until the onions are tender. Add the roasted sweet potatoes and black beans to the frying pan and cook for a further 3-4 minutes, stirring frequently until beans are heated through. 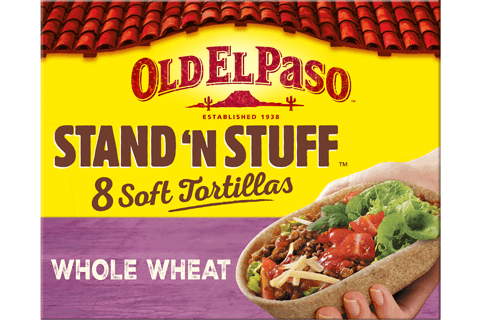 Meanwhile, heat the tortillas as directed on the packaging. Divide the vegetable mixture between the tortillas and drizzle a little of the lime and honey dressing over each. Scatter over the spring onions and roasted pumpkin seeds. To roast pumpkin seeds, spread in a single layer on a baking sheet. Roast in a very hot oven for about 10 to 12 minutes, stirring occasionally, until golden. If chipotle powder is unavailable use a teaspoon of chipotle paste instead.